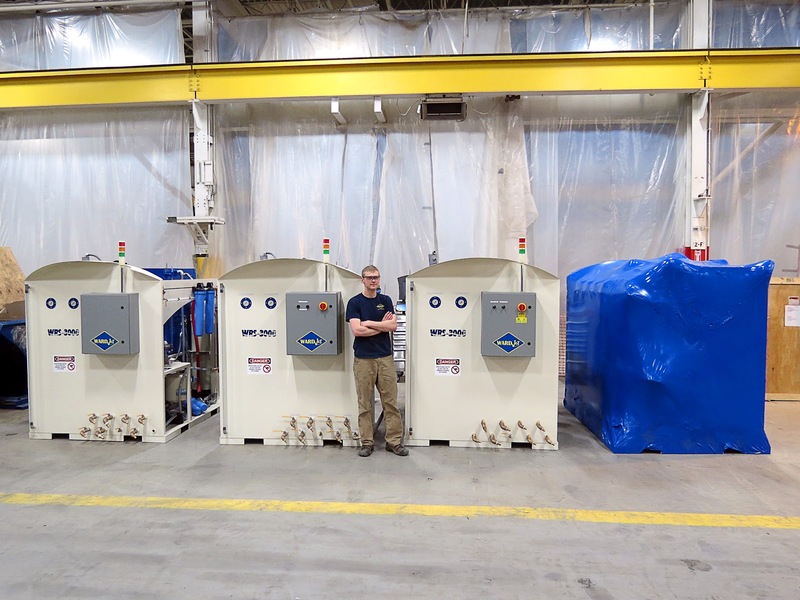 Production for the WRS-3000 Water Recycling System has been in full swing. 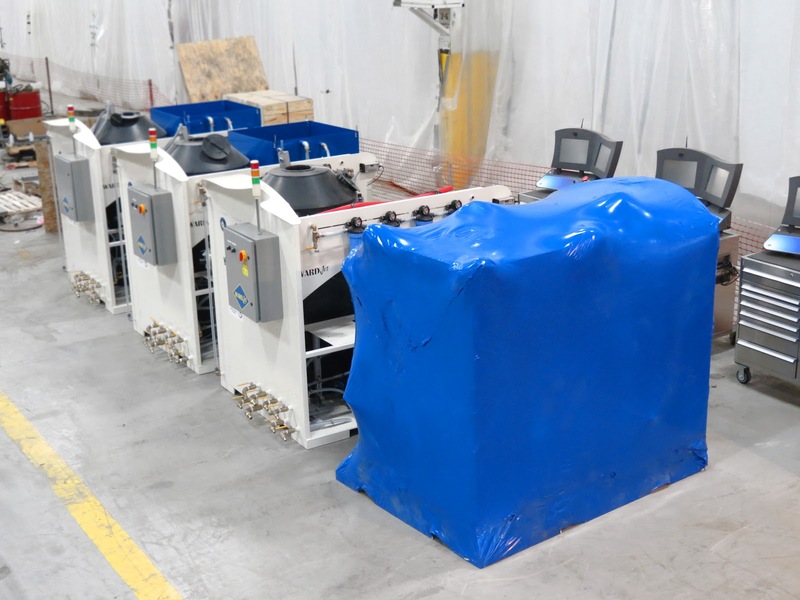 Seen here are four WRS-3000's in various stages of manufacture including one system wrapped up and ready to ship. 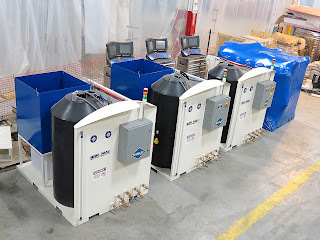 The WRS-3000 can help you reclaim up to 99% of your water for use in cutting or remove hazardous materials to help you stay within local waste water regulations.